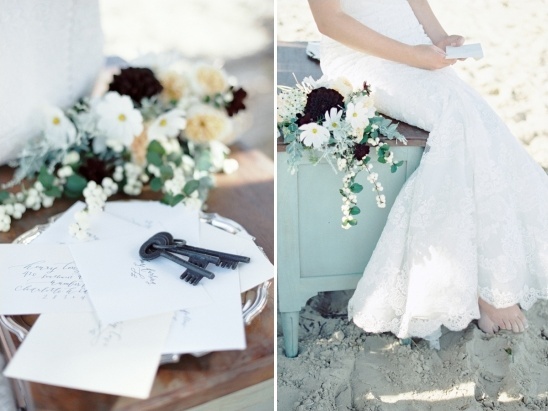 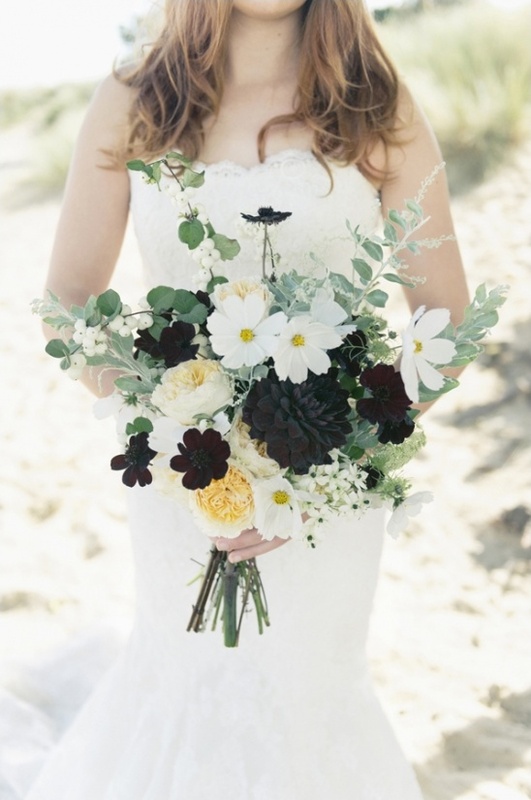 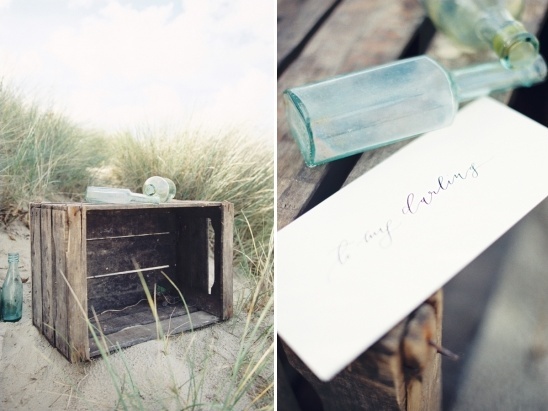 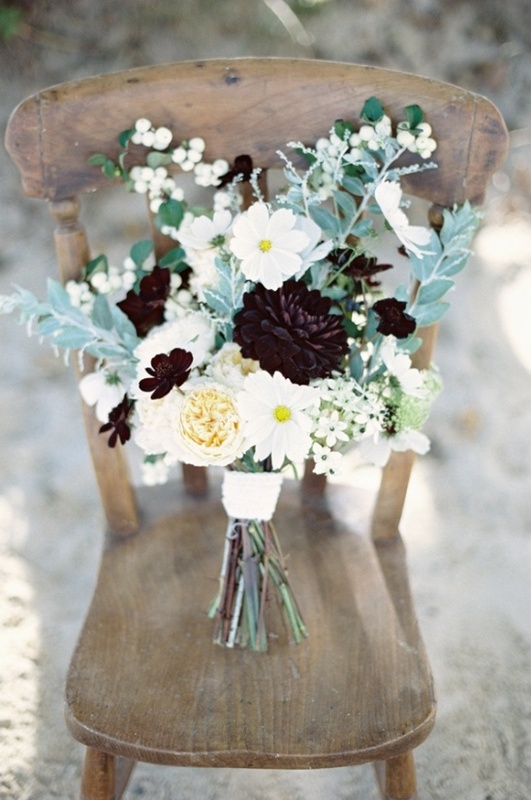 Sadness abounds in this secret of the sea wedding inspiration brought to you by Wedding Sparrow. 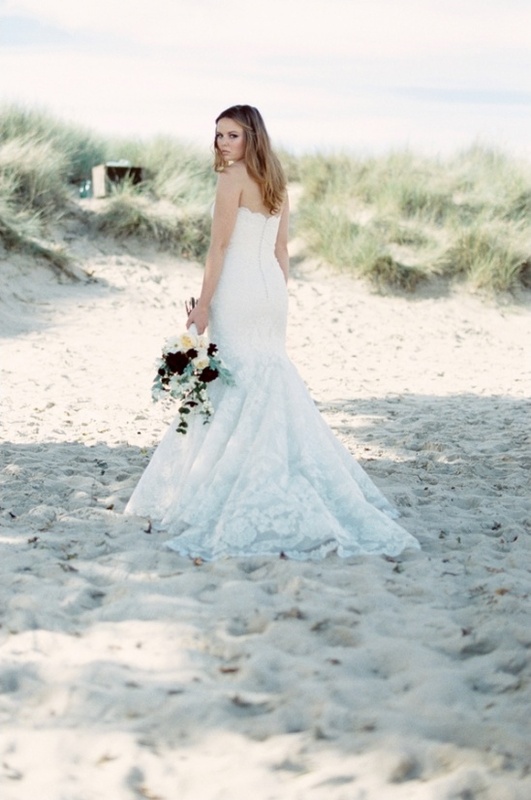 A beautiful and lonely bride wonders the beach awaiting the return of her darling husband-to-be. 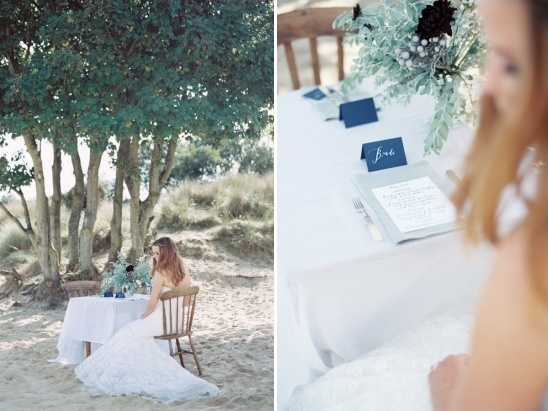 Hypnotic, powerful, and definitely not your run of the mill beach wedding ideas. 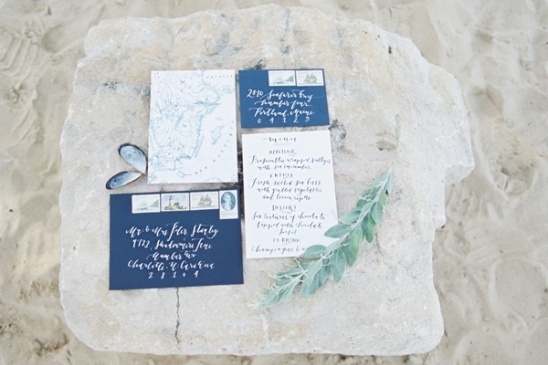 Taking inspirational cues from the Henry Wadsworth Longfellow poem "Secret of the Sea." 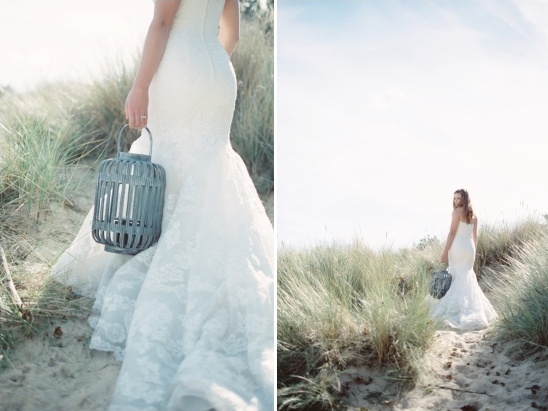 This shoot spins a sorrowful tale that we guarantee you will not be able to get enough of. 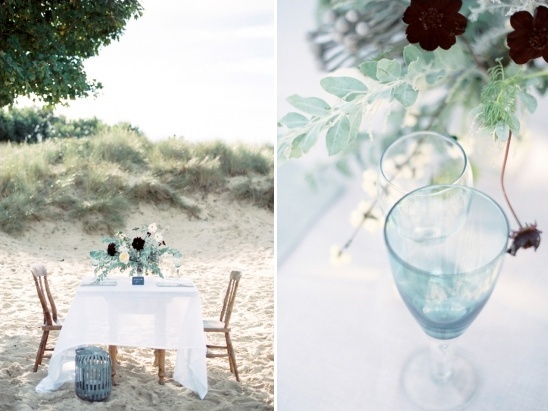 We highly suggest you take a little time to check out the full gallery of these Majestic Beach Wedding Ideas. 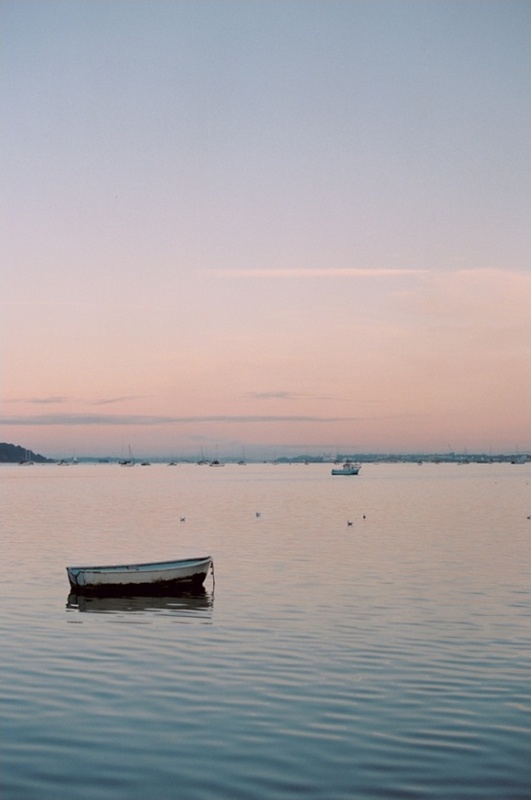 It is packed with even more magnificent melancholy details captured by Theresa Furey Photography. 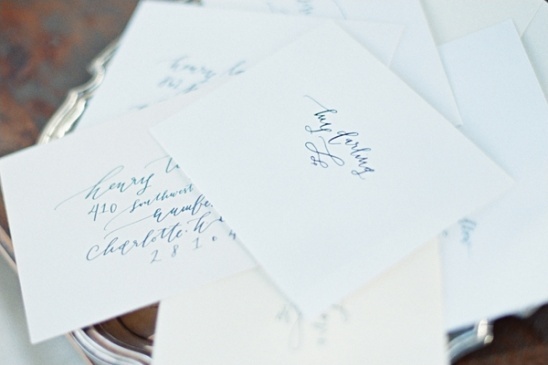 How perfect are these deep blue wedding invites above and all the pretty calligraphy done by La Happy? 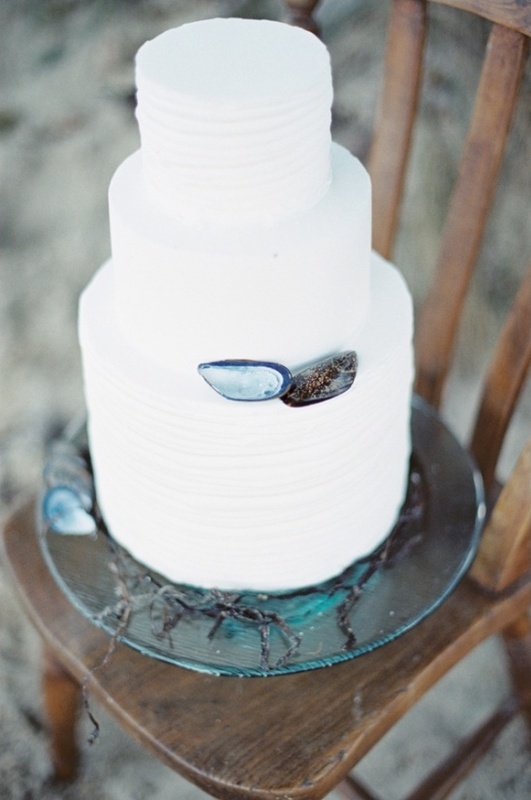 A custom design studio located in beautiful Seattle, Washington! 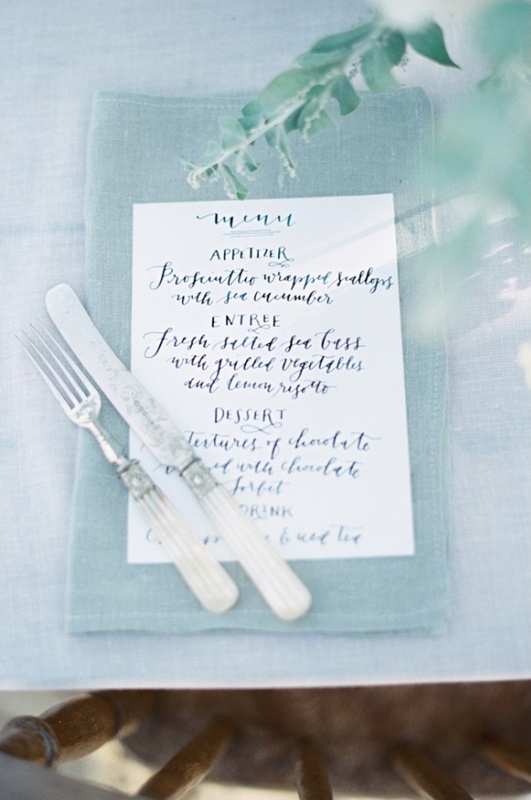 Graphic designer and Artist, Sally, has recently had some fun and exciting design stints in the fashion world and the luxury goods market.